It seems to me that this fall warrants a slight wardrobe update. Not an entire overhaul of what I have, but the addition of a few functional and stylish pieces. As I simultaneously clean out my closet, and aim to be very choosy about the things I buy, sometimes you just have that certain feeling about a style of clothing that’s made for you. 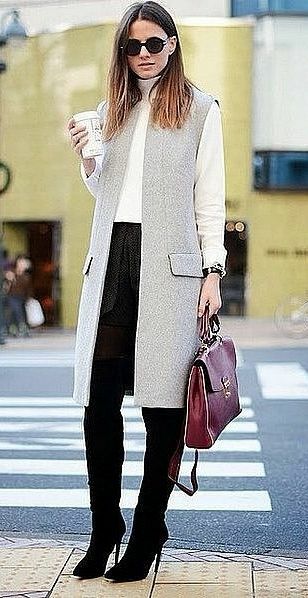 This whole sleeveless trench/duster thing has caught my attention for a while. It’s the type of piece you can wear now with your end-of-summer dresses, and later with a thick cardigan and jeans. And it’s definitely a “hey girl, hey” piece, sure to turn eyes whenever you wear one. A few of my favorites are here, here, and here.